Thousand Oaks, Calif., is working to ensure the mobility and communications options of its residents and businesses. Thousand Oaks, Calif., is working to ensure the mobility and communications options of its residents and businesses. The city chose San Jose, Calif.-based Extreme Networks to upgrade its public communications infrastructure. 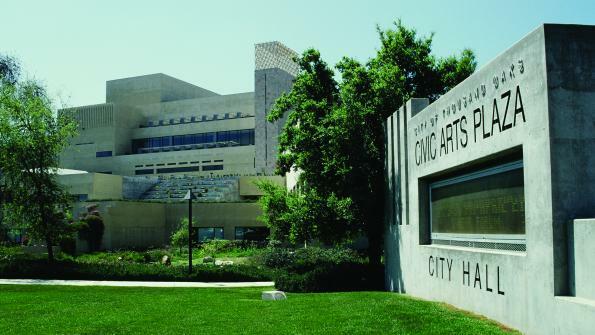 The upgrade provided wireless access for 500 city employees and residents throughout five city locations: the City Hall building/Civic Arts Plaza, the municipal service center, the wastewater treatment plant and two public libraries. The city required a solution that would allow the single manager to easily control and configure both the wired and wireless network from one central point while allowing them to add new access points (APs). The city chose to also deploy the firm’s OneFabric Edge solution, NetSight, for network management and wireless for seamless coverage. The firm’s wireless offering fulfilled the city’s key requirement of being easy to set up and manage. Additionally, the ability to create policies down to the port level has allowed the city to protect its city-owned computers. The system also meets Bring Your Own Device (BYOD) demands by permitting them network access from their own devices. Dustin Hurshman, information technology analyst at Thousand Oaks, is satisfied with the ease and speed of deploying an AP, saying the time to deploy went from hours to minutes. He also is able to deploy a single Service Set Identifier (SSID) across all of the network’s locations for continuous connectivity as employees and residents move between buildings. “With Extreme Networks, everything talks to each other, allowing us to manage two or three SSIDs instead of 20-30 SSIDs. It’s a lot easier,” he says. The success criteria of the new wireless system were ease of management, availability of support, fast deployment and the reliability and availability of the APs – all of which have been met. The bulk of the project was completed in June 2014. The company continues to expand the wireless network in Thousand Oaks, both by adding more APs for density and by adding them at additional facilities. Click here to learn more about Extreme Networks.